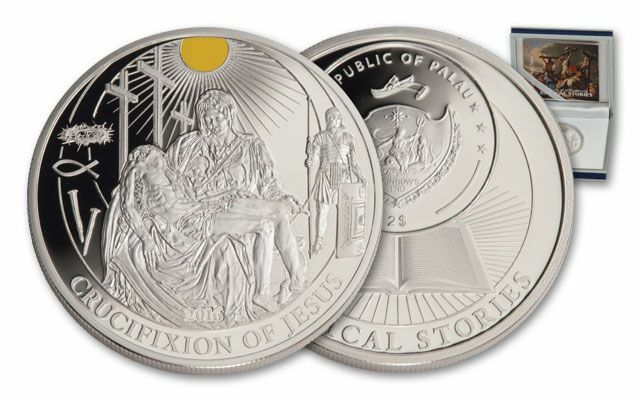 This 2016 Crucifixion of Jesus Proof is the next release of the Biblical Stories series. 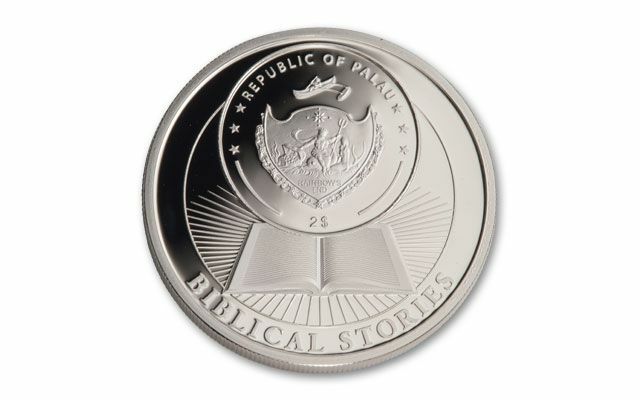 Each legal-tender proof is struck in a half-ounce of 92.5% fine silver. 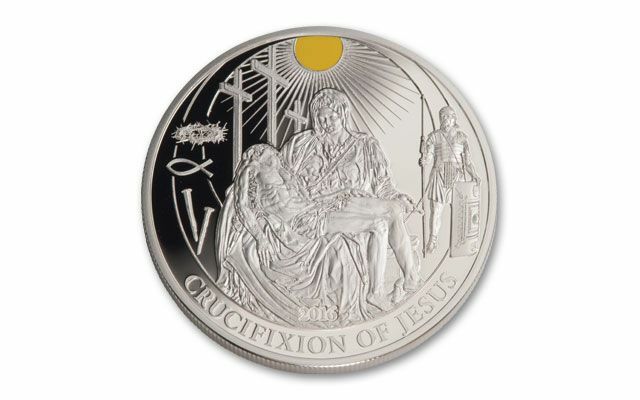 The reverse depicts Mary Magdalene and Jesus after he was taken down from the cross. A Roman soldier stands guard in the background and a yellow enameled sun gleams above. Each comes in a mint box with a certificate of authenticity. 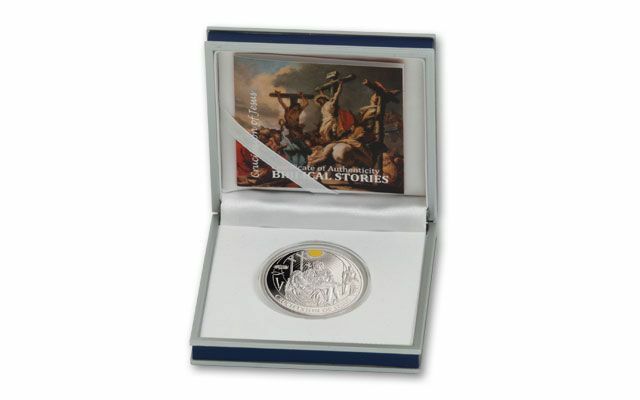 As one of the most recognizable stories of the New Testament, demand will exceed the 1,000 mintage of this emotionally-stirring proof.